I've been a bad blogger. I haven't blogged in a while, reason being I don't have access to a regular source of internet. Please bear with me. I am tryna get it sorted. My BOTM (Book Of The Month) has to be 'The OFFICIAL DSA THEORY TEST for Car Drivers and the Official Highway Code' book. I have been reading and re-reading this book for what feels like the longest time EVER. 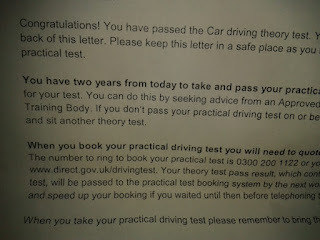 I had my Car Theory Test yesterday, and I passed. WOOP WOOP!!! I got 47/50 for the multiple choice part (FYI you need 43 to pass) and 45/75 for the hazard perception part (FYI you need 44 to pass, so I just scraped it). The test was not half as bad as I thought it would be. The multiple choice part is relatively easy providing you have revised. There were some questions on there I hadn't even heard off, but you can normally work out the answer by using the process of elimination. When I was revising at home, the thing that I found most problematic was the hazard perception. I just couldn't seem to spot the hazards (either at all or quickly enough). I was scoring between 0-3 (out of 5), and it was not looking very promising. 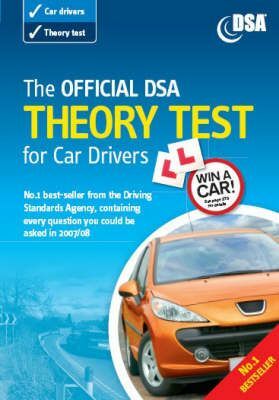 On the day of my test, I woke up extra early to watch another run-through of 'The OFFICIAL DSA GUIDE to HAZARD PERCEPTION' disc, and skim read the theory test book. I have to say that this book alongside other revision aids, has really helped me to consolidate that all important information. 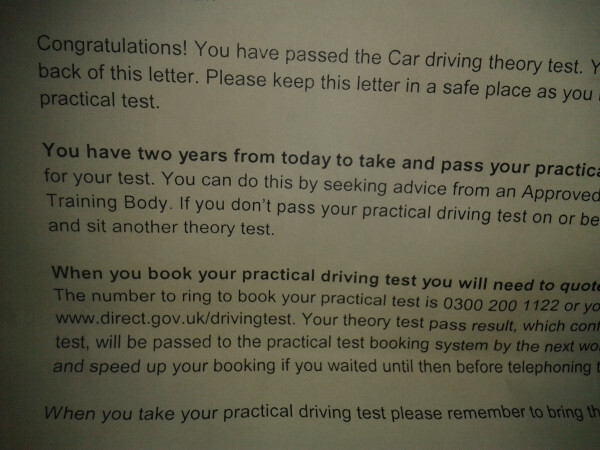 If anyone would like a Tips & Tricks post on 'How To Pass Your Car Theory Test', then just say the word, and I'll be more than happy to do one for you. If anyone has any revision tips feel free to share them below. For all those still awaiting results: Good Luck!! !